With U.I.M records (Uptempo International Music) latest production Vybz Kartel "Ghetto Life" &Popcaan "Fry Yiy" still burning hot on the charts and countdown worldwide, Anju Blaxx and Blak Diamon have once against found the formula for yet another hit with "Coolie Gal" riddim. 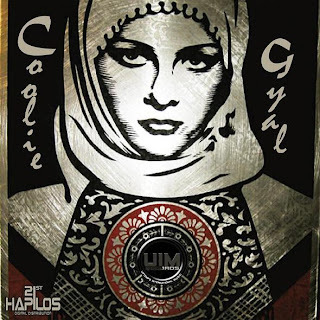 "Cooley Gal" riddim reminiscent of belly dancing music and middle eastern maqsoum rhythm features "World Boss" Vybz Kartel, billboard chart topping Popcaan, Tommy Lee, Bugle, Khago, Blac Diamon, Versatile, Zamunda, Trawma, Munga, Cherine, Keely and Anju Blaxx. The 17 tracks compilation riddim is now available on itunes and distributed by giants 21st Hapilos Digital.